This beach resort is located on the northern coast in Rakkhine State. 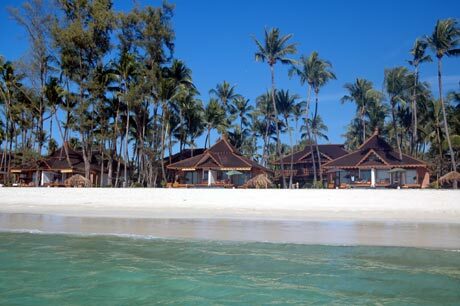 Ngapali is an unspoiled, unpolluted beach stretching over 3km with crystal clear blue sea and clean white sands, fringed with swaying palm trees. It is so scenic beauty that it is a popular beach for local and foreign visitors who enjoy sea, sand, sun and swimming. There is an 18-hole golf course at about 5km from Ngapali Beach Hotel. After breakfast, transfer to airport for the flight to Thandwe. Upon arrival transfer to your hotel for check-in. Relax at Ngapali Beach. Lunch and Dinner on your own account. Relax at Ngapali Beach. Lunch and Dinner on your own account. Free at leisure until to be transferred to the airport for the flight to Yangon. Upon arrival, transfer to your hotel for check-in. Free at leisure until to be transferred to Yangon International Airport for your onward flight.